Is it possible for there to be two great comedies from major studios before the first quarter of 2018 is even over? 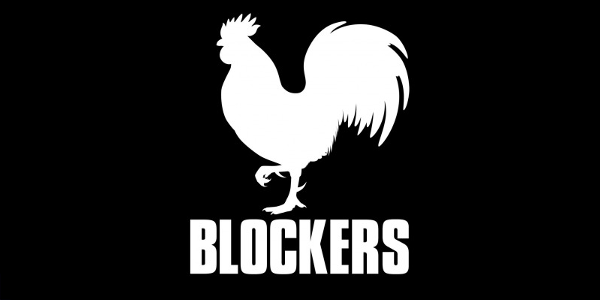 After Game Night received its praise earlier this year, it seems Blockers is getting its fair share now as well, though the two are wildly different outside of their ability to separate from typical studio fare. Simply put, Blockers is a gender bent, raunchy, teen comedy that is a mashed up 2018 version of multiple past films into something that surprisingly works. Julie, Kayla and Sam (Kathryn Newton, Geraldine Viswanathan, & Gideon Adlon) are three high school seniors who make a pact to lose their virginity on prom night. Lisa, Mitchell and Hunter (Leslie Mann, John Cena, & Ike Barinholtz) are three overprotective parents who flip out when they find out about their daughters' plans. They soon join forces for a wild and chaotic quest to stop the girls from sealing the deal -- no matter what the cost. When discussing Blockers and the tone of humor it is going for, one must first understand that this is clearly two different films smashed together to produce double the comedy. On one side is the parents and the misunderstandings they have about their teenage daughters. And on the other is a female version of teen comedies that we’ve seen in the past akin to something like Superbad. It works alright, though focusing on one or the other could’ve streamlined it a bit more. Where the film truly stumbles, save for one moment with Ike Barinholtz and Gideon Adlon, is when it tries to be sentimental. The tones don’t exactly line up and it almost brings the entire film down a peg. Thankfully, spending a majority of the screen time with the parents isn’t nearly as painful as it could’ve been in large part due to the chemistry between the three actors. John Cena is able to get by on his building comedic chops despite not always being the best actor and certainly the weakest of the three. But Leslie Mann is presented with a good showcase for her abilities in comedy. particularly one scene in a hotel room with some great physical humor. And Ike Barinholtz brings it all together by taking smaller bits and elevating them tremendously. While all three parental characters have great moments, the one who steals the show in the end is Geraldine Viswanathan. With an unbelievable presence on screen and remarkable comedic timing, the young actress is sure to be a star. The problem is that though most of the jokes work consistently, none of the bigger jokes hit quite as hard as the film wants them to. It does fall into some classic clichés that have become predictable at this point and thus the effect isn’t as strong. Blockers isn’t a tremendous lesson in comedy, it isn’t comparable to the successful films of the last few years by any means, but it is entertaining, which is far more than you can usually expect from big comedies lately. 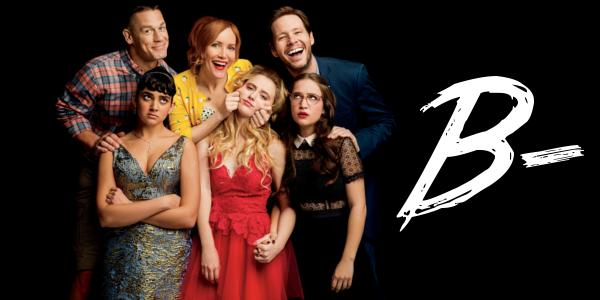 Overall, Blockers is an entertaining, if not slightly forgettable, comedy. It relies on chemistry between both sets of main characters to be top notch and for the actors involved to elevate the less than clever gags. Ike Barinholtz and Geraldine Viswanathan are the obvious standouts, but some great work put in from Leslie Mann shouldn’t be overlooked either. It isn’t going to be a film that is talked about throughout the year, but for now it’s worth a look if you’re hoping for a laugh.